COOKPRO 5 PIECE STAINLESS STEEL MIXING BOWL SET HWCP717 Constructed in stainless steel for durability and easy cleaning. Graduated sizes for all your kitchen needs. Also features a mirror polished interior and exterior. Includes: �3/4 Qt, 1 Qt, 2. 25 Qt & 6 Qt . 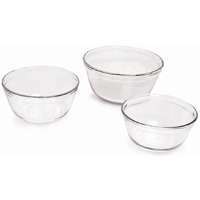 COOKPRO STAINLESS STEEL RIPPLED� MIXING BOWL SET� SET OF 3� HWCP718 ll-purpose, stainless steel mixing bowl that is essential to your everyday kitchen needs. 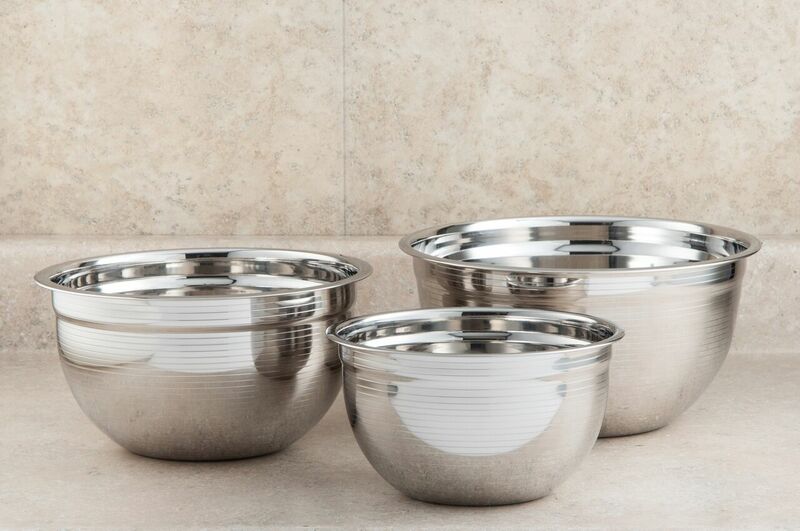 Features modern rippled design for a truly elegant finish. 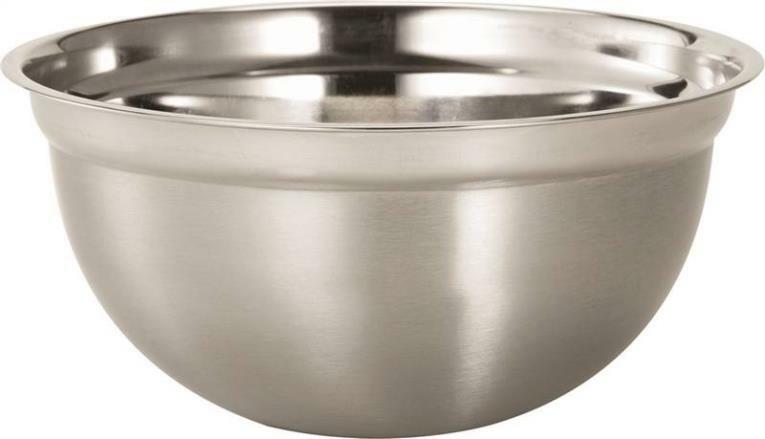 This durable and timeless mixing bowl is the perfect addition to your kitchen. A must-have for all chefs in the kitchen. 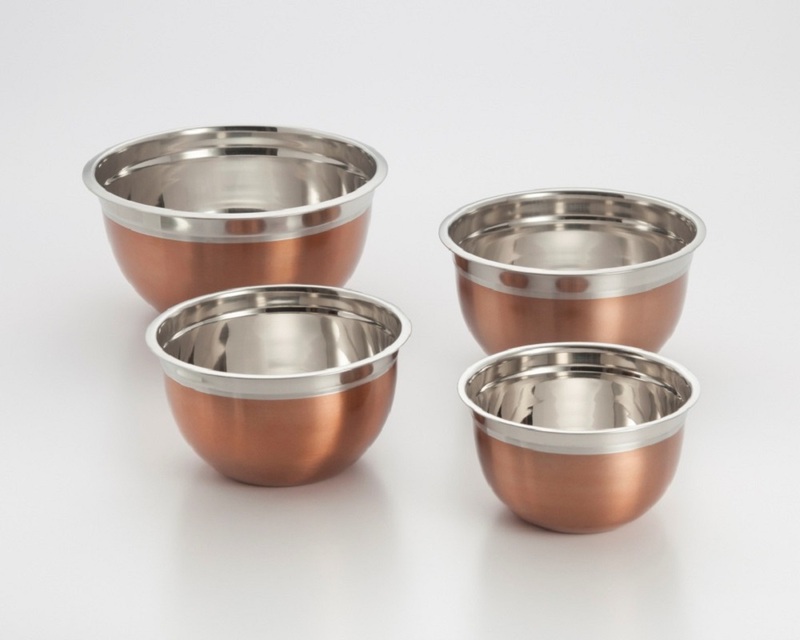 COOKPRO STAINLESS STEEL WITH COPPER MIXING BOWL SET �SET OF 4� HWCP720 All-purpose versatile German stainless steel mixing bowsl that are essential to your everyday kitchen needs. 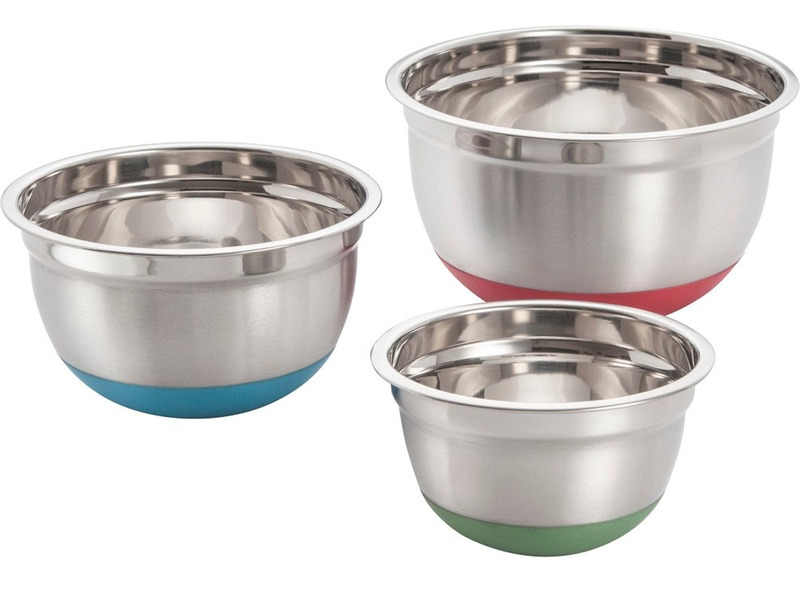 �In durable stainless steel, features a contrasting dual copper tint to accent your kitchen. �Designed to add character and elegance to any kitchen. �Nested storage for best utilization of space. 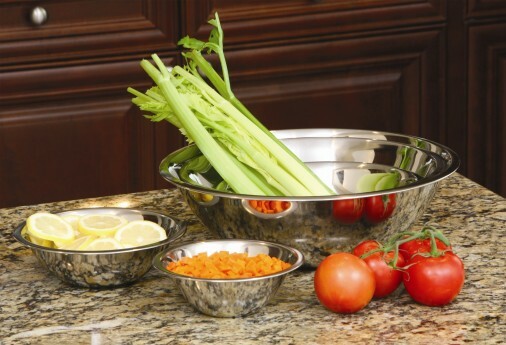 COOKPRO 3 PIECE STAINLESS STEEL� MIXING BOWL SET� HWCP721 Stainless steel mixing bowl with beautiful satin finished exterior and mirror polished interior. �Includes: 3 Qt, 5 Qt & 8 Qt . 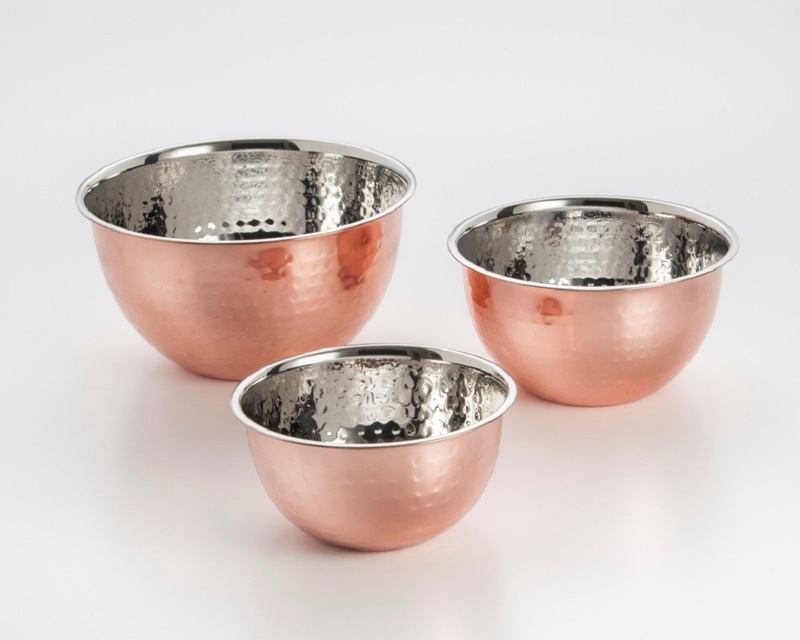 COOKPRO PROFESSIONAL HAMMERED COPPER� MIXING BOWLS SET OF 3� HWCP760 All-purpose, versatile hammered copper mixing bowls are perfect for your kitchen needs. �This unique hammer design gives a certain shine and shimmer that brightens up any kitchen. 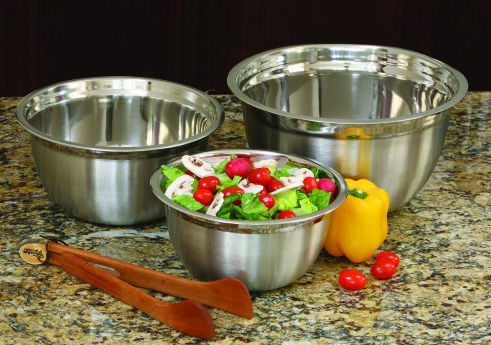 �Perfect for mixing everything and preparing food. �A must-have for all chefs. 75Qt, 3Qt & 5Qt . 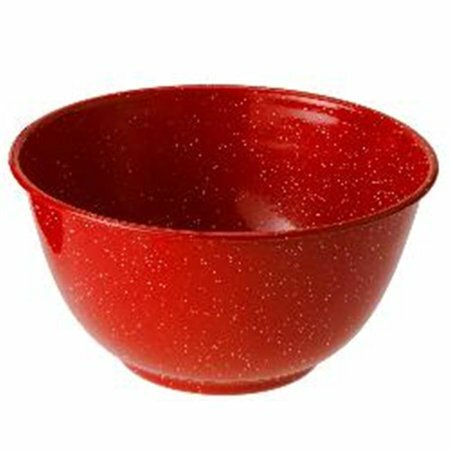 797 Mixing Bowl With Non-Skid Base Beautiful designed mixing bowl with colorful non-skid base. Mirror polish interior & satin finish exterior. Food grade non skid base makes your preparation work easier. Available in 1QT, 3QT and 5Qt, Each sold separately. 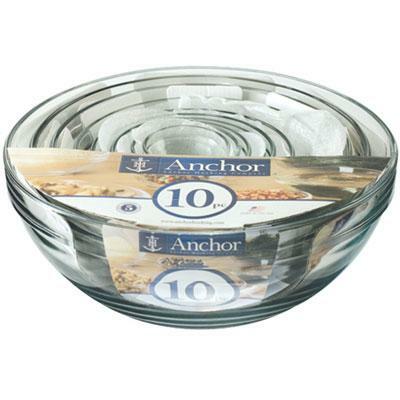 Anchor Hocking Clear Glass 10-Piece Mixing Bowl Set includes 1 oz. 2 oz. 4 oz. 6 oz. 10 oz. 16 oz. 1 qt. 1.5 qt. 2.5 qt. and 3.5 qt. Dishwasher safe Shrink Wrap. This item cannot be shipped to APO/FPO addresses. Please accept our apologies.